First published in 1998, this timely study of an American acute care hospital examines decision making by patients and their families along with a cost analysis of social work services. The first part focuses on the patient’s experience of acute hospital care and the second part examines the factors which influence the use of social work resources in providing services to acute hospital patients. Patients were asked about the treatment and discharge decisions made, the agreements that occurred and the problems they experienced while they were in the hospital and after discharge. Surprisingly, the patients reported little difficulty with the decision making environment although it was evident that many experienced a high level of difficulty once discharged. The second part focuses on the utilization of social work resources for these patients. The study uses an activity based framework to examine the cost drivers for social work intervention. It is the first example of the application of ideas from activity based costing to analysis of social work services in hospital settings. 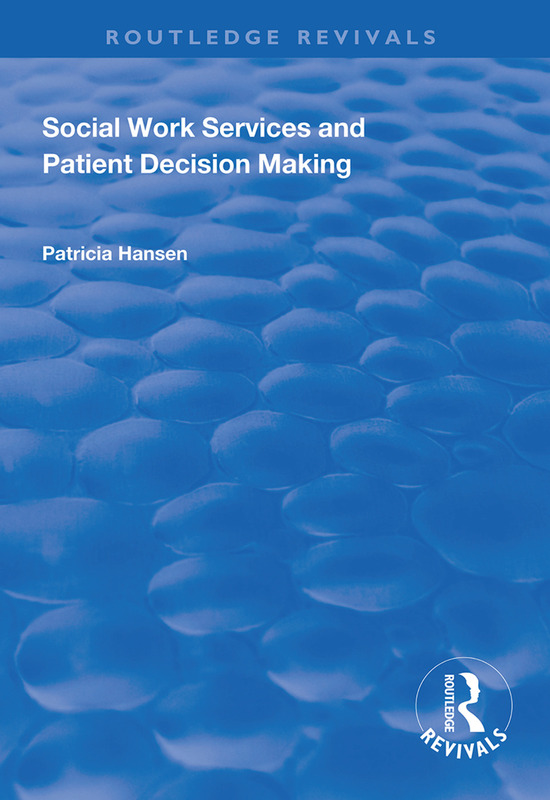 Patricia Hansen’s interviews enable us to listen to the voices of those using social work services and the influences on their decision making, presenting a ground-breaking analysis of social work drivers. The findings question what can truly be achieved in such a brief period of time and Hansen presents several sound suggestions to provide comprehensive and effective psychosocial services for patients and families. Her study serves as a gold standard for future social work research on this issue.